Cultivating Curious and Creative Minds presents a plethora of approaches to developing human potential in areas not conventionally addressed. Organized in two parts, this international collection of essays provides viable educational alternatives to those currently holding sway in an era of high-­stakes accountability. Taken together, the chapters in Part I of Cultivating Curious and Creative Minds provide a sampling of what the cultivation of curious and creative minds entails. The contributing authors shed light on how curiosity and creativity can be approached in the teaching domain and discuss specific ideas concerning how it plays out in particular situations and contexts. 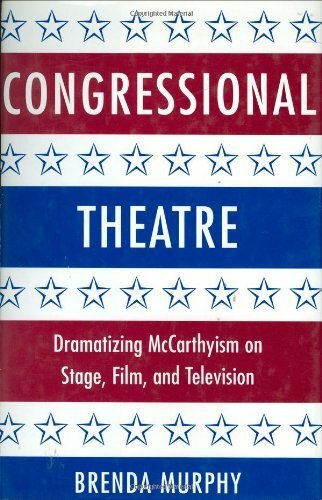 Congressional Theatre is the first book to identify and examine the significant body of plays, films, and teleplays that responded to the actions of the House Committee on Un-­American Activities during the "show business hearings" it held between 1947 and 1960. Among the writers discussed are Arthur Miller, Bertolt Brecht, Lillian Hellman, Maxwell Anderson, Elia Kazan, Barrie Stavis, Herman Wouk, Eric Bentley, Saul Levitt, Budd Schulberg, Carl Foreman, Abraham Polonsky, and Walter Bernstein. Obsession. Pleasure. Pain. Desire. Love. Four women—heartbroken and lost—long to satisfy their soul-­deep need for the sensual blend of pain and pleasure, but have not found relief for the ache…until now. Dominance, submission, power exchange, and love lost-­and-­found feature in this collection of stories about women willing to risk everything in their quest for passion and love. This volume addresses the work of women playwrights throughout the history of the American theatre, from the early pioneers to contemporary feminists. Each chapter introduces the reader to the work of one or more playwrights and to a way of thinking about plays. Together they cover significant writers such as Rachel Crothers, Susan Glaspell, Lillian Hellman, Sophie Treadwell, Lorraine Hansberry, Alice Childress, Megan Terry, Ntozake Shange, Adrienne Kennedy, Wendy Wasserstein, Marsha Norman, Beth Henley and Maria Irene Fornes. Playwrights are discussed in the context of topics such as early comedy and melodrama, feminism and realism, the Harlem Renaissance, the feminist resurgence of the 1970s and feminist dramatic theory. A detailed chronology and illustrations enhance the volume, which also includes bibliographical essays on recent criticism and on African-­American women playwrights before 1930. The Theatre�of Tennessee Williams�provides a stimulating analysis of the work of this giant of twentieth century American theatre whose work remains central to curriculums and theatre repertoires. It combines an analysis of all of his work by American scholar Brenda Murphy with interviews and a number of criticial essays.